Those struggling to keep a roof over their heads — whether looking to ease the burden of monthly rent payments or in desperate need of help to get off the streets — will find out later this week how the Liberal government hopes to deal with Canada's ever-present shortage of affordable housing. The details of the national housing strategy remain a closely guarded secret, but sources with knowledge of the government's plan say it will outline a federal push to build more affordable housing, set up new funding programs for housing providers, and provide rental benefits for those struggling in the private market. What should a national housing strategy include? With the ranks of Canada's homeless on the rise and more households straining to stay sheltered, housing providers and advocates have high hopes that the strategy will help with housing affordability overall. "It's something that I think more and more Canadians can relate to," said Tim Ross, director of strategic affairs with the Co-operative Housing Federation of Canada. "Everyone is feeling the pinch." Newly released data from the Canada Mortgage and Housing Corp. found that 1.7 million households were in "core housing need" in 2016, meaning they spent more than one-third of their before-tax income on housing that may be substandard or doesn't meet their needs. Outside of Vancouver, the cities with the highest rates of core housing need were in Ontario. In Toronto, close to one in five households was financially stretched — the highest rate in the country. The government hopes that building 80,000 new affordable rental units, along with some $25 billion in government spending and private capital over the next decade, will ease that burden for 500,000 of those families and help another 500,000 avoid or escape homelessness. 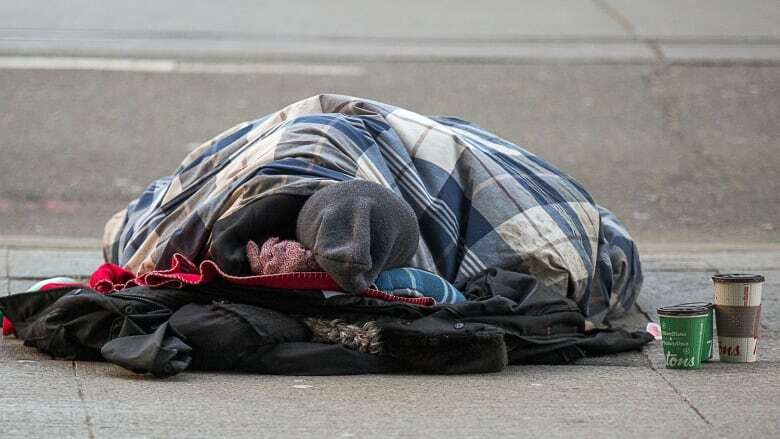 "There are no silver bullets here and there's not enough money involved to completely solve the whole housing crisis, but there should be enough money to make a significant difference," said Tim Richter, CEO of the Canadian Alliance to End Homelessness. "How they spend the money is going to be important." The plan is expected to include a portable housing supplement that tenants can carry with them through the private market, a radical change for federal programs. Sources say it will also maintain so-called "place-based" rent subsidies to keep thousands of units from losing funding in the coming years — a key demand from cities who also expect more cash to help pay for badly needed repairs to existing affordable housing stock. Government officials have told those in the housing sector that the plan would emphasize housing as a human right. However, many aspects of the plan won't be spelled out in detail until next year. A separate on-reserve housing strategy for Indigenous Peoples will also be pushed to next year because sources say it still requires deeper consultations with national Aboriginal groups. The government is expected to roll out the national housing strategy on Wednesday — National Housing Day — with Prime Minister Justin Trudeau in Toronto and Families Minister Jean-Yves Duclos making a similar announcement elsewhere, possibly Vancouver, said sources who weren't authorized to discuss details in advance of the official announcement. The strategy will set the stage for a larger poverty reduction plan to be released next year. But it won't be embraced by everyone as the government rethinks how it deals with and funds housing. For instance, a lesser focus on shelters in favour of providing more housing could upset some in the housing sector who fear losing funding to other projects. "There is an element of it being an industry where people want to preserve what they're doing and see something new as encroaching or being a threat," said Stephen Gaetz, director of the Canadian Observatory on Homelessness.